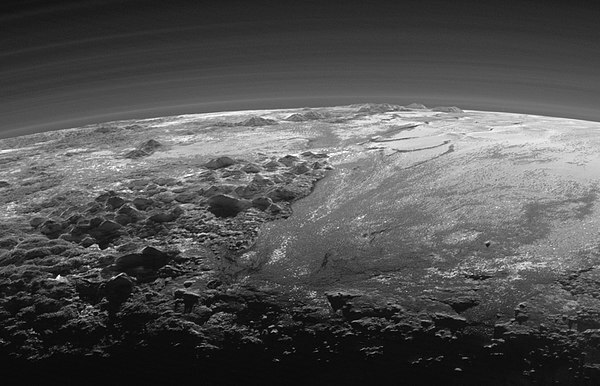 ↑ NASA’s New Horizons Discovers Exotic Ices on Pluto, SciNews.com (24 July 2015). Дата обращения 25 июля 2015. ↑ Kremer, Ken. 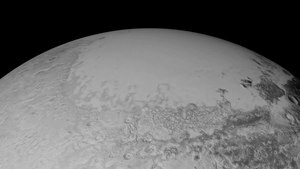 Breathtaking Pluto images reveal icy dwarf planet's plains and mountains (+video) - NASA's New Horizons space probe has sent back its highest-resolution images yet of Pluto and its moons., The Christian Science Monitor (27 July 2015). Дата обращения 17 августа 2015. ↑ Akpan, Nsikan. 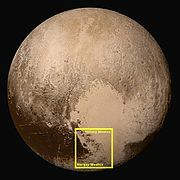 Nepal gets a piece of Pluto plus four new surprises from New Horizons, PBS NewsHour (18 July 2015). Дата обращения 17 августа 2015. ↑ Staff. Pluto mountain range named after Sir Edmund Hillary, Stuff.co.nz (25 July 2015). Дата обращения 17 августа 2015. ↑ Staff. NASA names Pluto's mountains after Sir Edmund Hillary, Television New Zealand (24 July 2015). Дата обращения 17 августа 2015.